Make sure to read on if you are interested about renting a stroller from an Orlando Stroller Company! We are here to help you learn about everything you need to know about bringing strollers into Disney World! When staying at a Walt Disney World Resort, you may consider renting a stroller from a company in the Orlando area. When you rent a stroller at a Walt Disney World Park, you are not able to bring it back to your hotel with you. When park hopping, you also must have to start over with a new stroller at the new park. When you decide to rent a stroller with an outside company, there are many benefits! If flying or driving, you’ll save luggage space by picking up the stroller in Orlando. Many of the stroller companies will also deliver the stroller to your resort for free. You also have more options. Unlike a stroller at Disney World, there are many different kinds and sizes of strollers to choose from. It will make it a little more unique in a sea of Disney strollers. You’ll have the stroller with you 24/7! No more waking a child that rode a little too many rides to hope over to another park or head back to you room! With a rented stroller, it’s yours for the entire trip, to bring wherever you please! This includes if you decide to visit off-property. With so many different stroller companies to choose from, it can be overwhelming. We’ll break them all down for you and give you the facts! 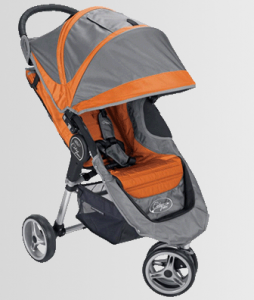 Check out our Orlando Stroller Rental Reviews! Save with Orlando Stroller Rental Coupons! I found orlando strollers to be kind of busy and rushed– I liked the feel at “DiscountStrollerRentals.Com” a lot more–and I had great success/a very good experience with them– Plus, their pricing was better too ! Disney Strollers are hard plastic and don’t recline. They are very uncomfortable. We rented car seats and a stroller from P&K Family Rentals. A Very Family Friendly company and so nice to work with. Plus they rent Valco Strollers, which are top of the line. Saved us money on the trip. I Definately recommend them!